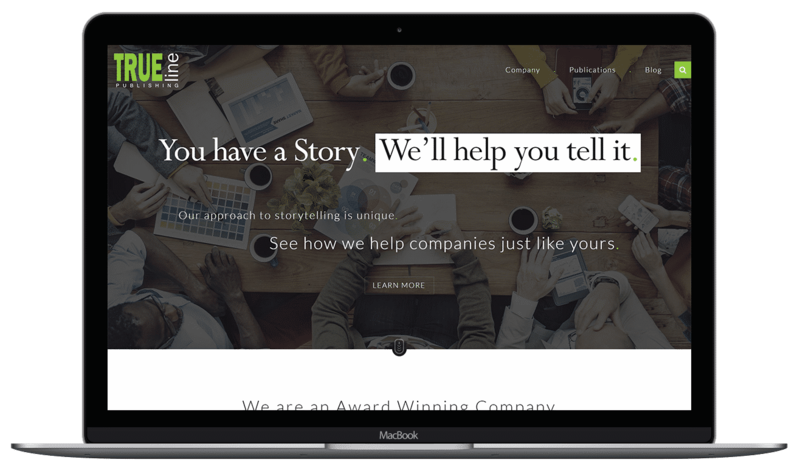 WordPress Website, TrueLine Publishing - NOYO Web Development Inc. I worked with Nicolas at NOYO and I was very pleased with the results. They were able to understand my needs and deliver a product that fully met my expectations in a timeline that made sense. I was particularly impressed with their ability to think ahead and make sure that our site was built to last and provide the best user experience possible. I would recommend NOYO to any business looking to optimize, revamp or build a new website. Try to think of 3 adjectives that describe you. It’s hard, right? Now imagine turning those adjectives into a convincing story that many people will read. That story should set your company apart. It should reflect those core values. And it should be easy to find through a simple Google search. Easier said than done, considering most publications don’t give you a say in what they write. That’s where TrueLine Publishing comes in. They work with you to create an original story about your business, your executives or your products. They publish your story in one their our award-winning, national publications, and they promote your story across our social media platforms, websites and our own email lists. You’ll receive a digital version of your story for easy sharing. And you’ll work with TrueLine Publishing’s staff, from drafting to getting your story into the hands of your target audience.